Jonah Smith returns! with Andy Stack. Doors open at 6:00 p.m. to allow time to indulge in our Small Plates Menu. Music will begin after the dining 'hour', so roughly 7:00. FM is known for being an intimate "listening' room. At Door pricing [IF AVAILABLE] increases by $5.00 per ticket. 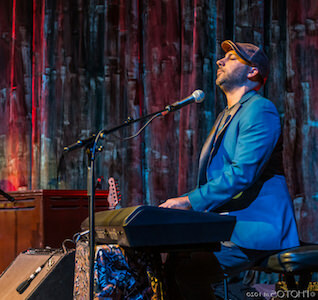 The new acoustic recording by Jonah Smith, “Stay Close” began in November 2016 shortly after a reunion with Andy Stack that took place in Des Moines, Iowa at The Flying Mango. The concerts, which took place over two nights in late October, were centered around the performance of a new song called “Ocala” — a song written for Mike Wedeking, a friend and the owner of The Flying Mango. Grace Unwrapped was published in the Washington Post on Christmas Eve, and tell more of the story about the song Ocala.